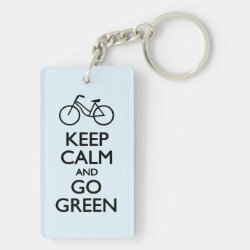 Biking is a great way to go green. 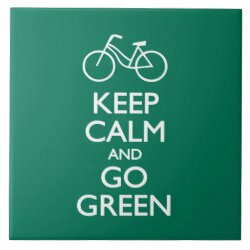 Use two wheels for transport and you'll be doing your part to keep our planet -- and More... yourself -- healthy. 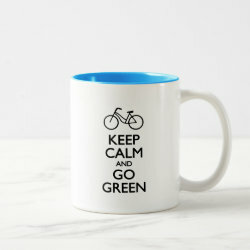 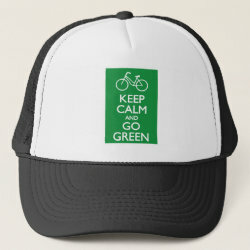 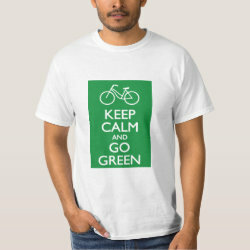 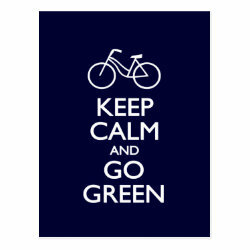 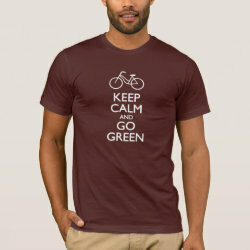 This is a fun poster-style image with text reading "Keep Calm and Go Green" with a bicycle icon replacing the familiar royal crown.